In your country, I guess there are a lot of women’s groups which are doing income-generating activities. On average, how many members are there in one group? 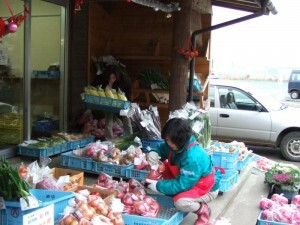 According to a survey conducted by the Ministry of Agriculture of Japan, in 2010 there were 5,284 women’s groups which were doing income-generating activities in rural Japan. Out of the 5,284, as for the membership, 54.6% of the groups had less than 10 members. Generally speaking, as the membership of the group increases, it becomes more difficult to manage. In a large group, it tends to take more time to make a decision than in a small group. In addition, in a large group, conflicts among the members are more likely to happen since there are more differing opinions in the group. The survey data below reflects such situations. The groups with a membership of more than 100 people account for only 2.3%. We are the Members of the Cherry Center! 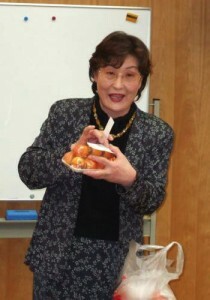 Contrary to the general presumption, in Nambu, Aomori, which is located in the northern tip of the Japanese mainland, there is a very active women’s group with a membership of about 100. 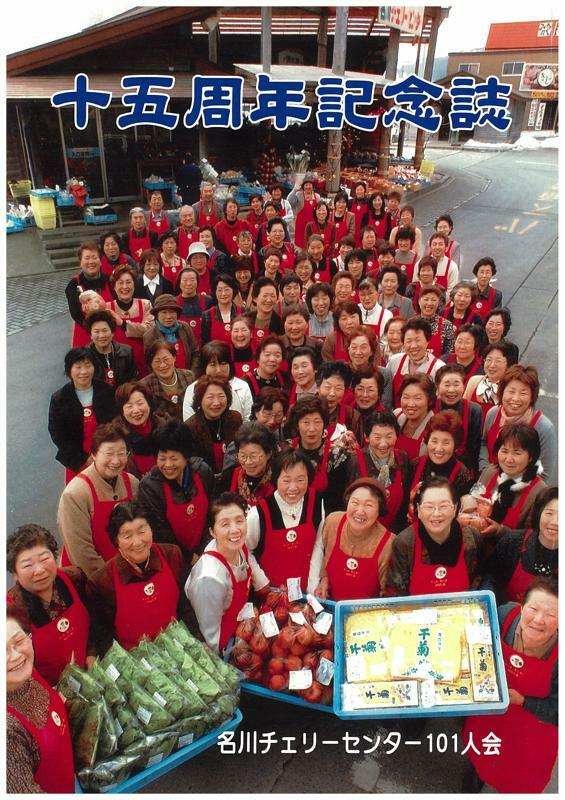 They have been running a farmers’ market successfully for more than 20 years. The name of the group is the Cherry Center. 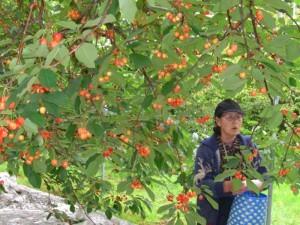 The Nambu area is very famous for varieties of fruit such as cherries, peaches, grapes, pears, apples, and persimmons. As the cherries are the most famous and the local government had been promoting the cherries as the symbol of the area, the women’s group was named the Cherry Center after the symbolic fruit. The Cherry Center is not a place exclusively to sell cherries. 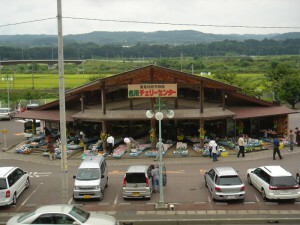 They also sell other agricultural products there. The Cherry Center has turned a lot of profits since its inauguration in 1991. I visited the women’s group for the first time in 2002. Since then, I have visited the group almost every year. During the past 10 years, one question has always been on my mind, “Why is the Cherry Center booming despite such a large membership?” Whenever I visit women’s groups in developing countries or discuss with government officials in charge of support activities for women’s groups in developing countries, they always tell me about a lot of challenges that they face in managing a large group. Bearing those challenges in mind, I have analyzed why the Cherry Center has been so successful for more than 20 years, and have found some tips for success. Today, I would like to share those tips with you. The first tip that comes to mind for the success of the Cherry Center is the democratic operation of the group and equal responsibility among the members. In the Cherry Center, the president is elected in a vote by all the members. The term of the presidency is two years, and an election is conducted every two years. The group operation is divided into four sections: the material procurement section, the public relations section, the training section, and the auditing section. The president appoints the leader of each section, except auditing, as vice presidents of the Cherry Center. Including the three vice presidents, 13 board members are selected every two years. Two are auditors, and the remaining 11 board members are divided into three groups. The board members rotate every two years, which means that a turn on the board membership comes to all the members. This not only ensures equal responsibility among the members but also gives them an opportunity to gain hands-on experience of the group business management. Each member is allowed to sell two yellow containers of products inside the establishment of the Cherry Center. The places where they are allowed to put the yellow containers are decided by a drawing. Other than the products put in the two yellow containers, if they have more products to sell, each member is allowed to put two blue containers of products outside the establishment after 5 o’clock in the morning. As for the blue containers, they are allowed to put two containers wherever they like on a first-come first-served basis. Everybody wants to get a “good” place, but if they put a container out before 5 o’clock, they have to pay a fine because of the violation of the rule. Every member has to work as a cashier in turn. On weekdays, three members work as cashiers. 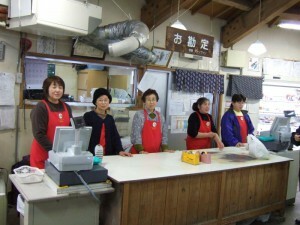 Four members on Saturdays and five members on Sundays work as cashiers. The cashier shift means that each member does it once or twice a month. 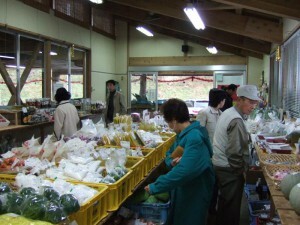 Cashier duty is divided among the members equally. In other words, every member has a chance to communicate with customers. The members have to affix price tags on their products by themselves. The tag includes information about the members and the products, such as the prices, the product’s name, the member’s name, address, phone number, and so on.